Joe Demers is not a newcomer to Park City, nor to The Park City Singers. He and his wife and son moved from San Diego to Park City in 2004. Joe and his wife, Marianne, are former choristers in the Park City Singers and have sung most recently together in the Messiah Community Sing Along in March 2016. During the last 12 years both Joe and his wife of 25 years have worked for the Park City School District. Joe is a 28 year elementary school teacher while Marianne has worked as an aide in reading. Joe has a music degree in Voice and Piano from San Diego State University and been involved in directing choirs from as little as 12 - 15 members, to as many as a couple hundred members. 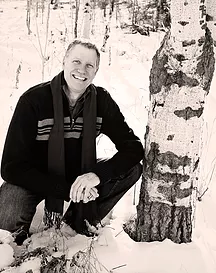 His connection to the Park City School District makes the partnership with the Park City Singers, a natural for tapping into local younger talent, as well as refining and continuing the high standards set forth by the traditions already established in the community by it’s existing membership. Joe received a B.A. in vocal music with a minor in piano with an emphasis in music education. During his music education, he participated in Chamber Singers choral groups, as well as Concert Choirs. He has been a Music Liturgist for the past 33 years, and is currently Director of Music at St Mary’s Assumption here in Park City. Joe also teaches piano and voice privately. In addition to his music skills, Joe is Instructional coach at Parley’s Park Elementary School and recently received a Masters Degree in Curriculum and Instruction. Joe is a volunteer DJ for KPCW and enjoys representing our fine city. He and his wife, Marianne have a 22 year old son, and have been Park City residents since 2004.